The first Model School was established in 1843 and, in time, 25 in all were founded. 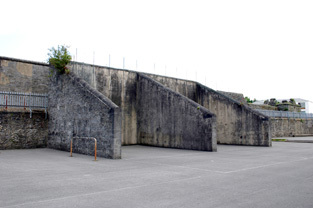 The original limestone handball alleys still exist at the rear of the school. 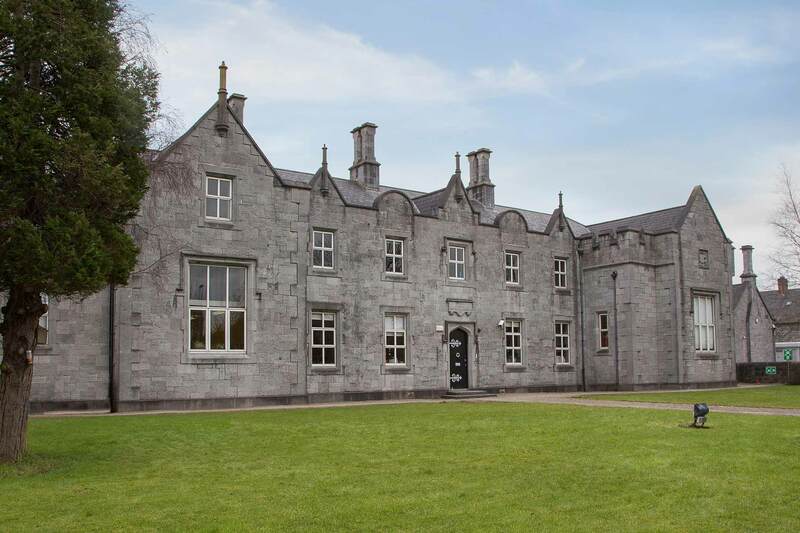 The multiple-bay two-storey limestone ashlar Model School is important to Limerick in terms of its architecture and contribution to the cultural life of the city. It was designed by Frederick Darley, who designed other model schools in the City, for the Commissioners of National Education. 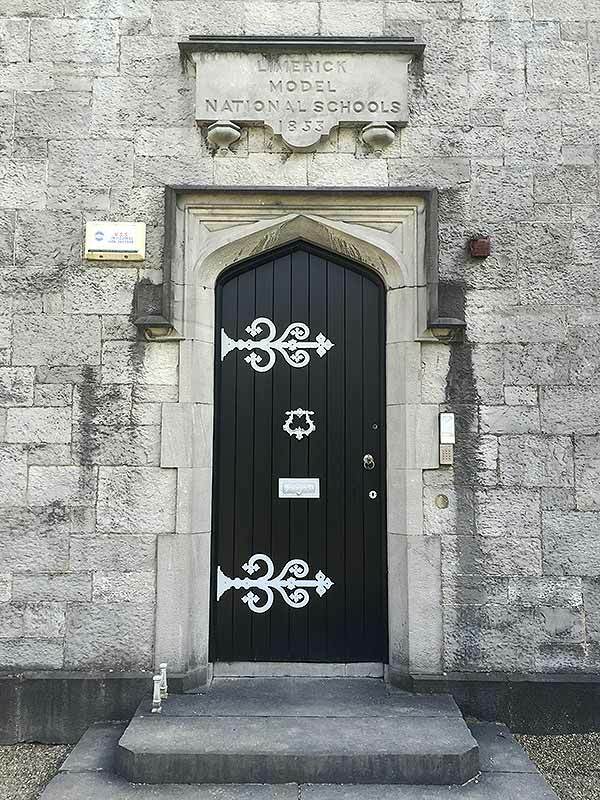 In the year 1832, the Education Commission set about founding Model Schools in Dublin. Some of those schools were to be centres of training for teachers in national schools which were founded shortly previously. In 1835, the Commission announced plans to found additional Model Schools throughout the country. They decided in 1846 that each of these schools would consist of an infant school, a girls’ school and a boys’ school. The first Model School was established in 1843 and, in time, 25 in all were founded. The work of erecting our beautiful building began in 1853. The official opening took place in 1855. The school consisted of four schools at the time, an Infant School, the Girls’ School, the Boys’ School and the Mariners’ School. The Mariners’ School closed shortly afterwards due to lack of demand. In 1966, The Girls’ School and Infant School were amalgamated. On Saturday, 3rd September 1977, the building was burned almost to the ground. 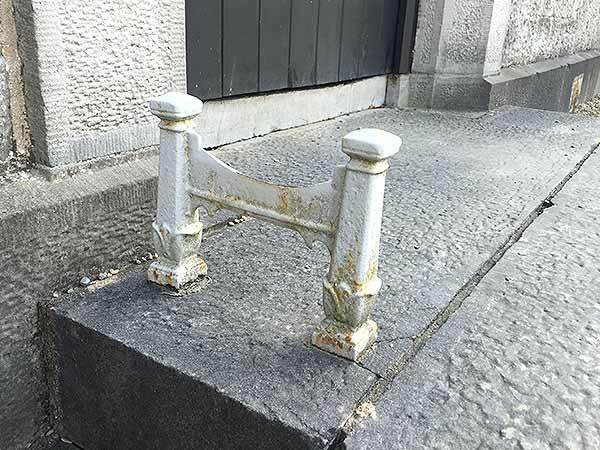 Incredibly, with the help of parents, Board of Management, teachers and the people of Limerick, the schools were in operation again within a week. Prefabs were in use until 1986. The original building was rebuilt and extended to include an additional 16 Classrooms and office accommodation for The Department of Education. Michael Noonan, T.D. Minister for Trade and Industry reopened the Model School, in 1986, on behalf of the school patron, The Minister of Education. Sa bhliain 1832, thug Coimisinéirí um Oideachas faoi mhodhscoileanna a bhunú i mBaile átha Chliath. Ba chuid de na scoileanna sin an Rannóg Oiliúna le múinteoirí a oiliúint do na scoileanna náisiúnta a bunaíodh go luath roimhe sin. Sa bhliain 1835 luaigh na Coimisinéirí plean chun Modhscoileanna eile a thógáil ar fud na tíre. 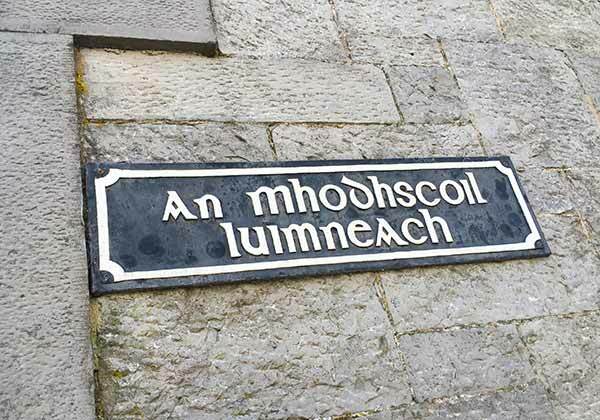 Shocraigh said sa bhliain 1846 go mbeadh Naíscoil, Scoil do chailíní agus scoil do bhuachaillí i ngach modhscoil. Bunaíodh an chéad Mhodhscoil sa bhliain 1843 agus le h-imeacht ama, tógadh 25 ar fad. Thosaigh an tógáil ar ár bfoirgneamh álainn sa bhliain 1853. Bhí an oscailt oifigiúil de Mhodhscoil Luimnigh sa bhliain 1855. Bhí ceithre scoil i gceist ag an am, Naíscoil, Scoil na gcailíní, Scoil na mbuachaillí agus Scoil Muirí. Dúnadh an Scoil Muirí tamaill ina dhiaidh sin, de bharr easpa suime. 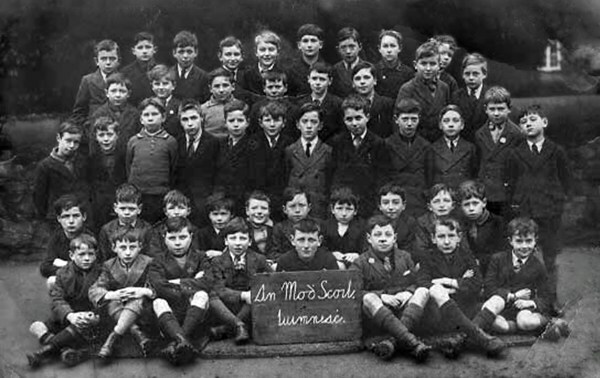 Cónascadh Scoil na gCailíní agus an Naíscoil i 1966. Ar an Satharn, 3ú Meán Fómhair 1977, dódh an foirgneamh nach mór go talamh. Le cabhair na dtuismitheoirí, an Bhoird Bainistíochta, na múinteoirí agus muintir Luimnigh, bhí na scoileanna ag feidhmiú arís laistigh de sheachtain. Bhí seomraí réamhdhéanta in úsáid go dtí 1986. Déanadh aththógáil ar an bhfoirgneamh agus cuireadh 16 seomra ranga breise leis, chomh maith le oifigí don Roinn Oideachais. B’é Mícheál Ó Nuanáin, T.D. Aire Tionscail agus Tráchtála, a rinne an athoscailt oifigiúil, i 1986, thar cheann Phátrúin na Modhscoile, an t-Aire Oideachais.